These wonderfully elegant vintage clip earrings were made in 1967 by Christian Dior. 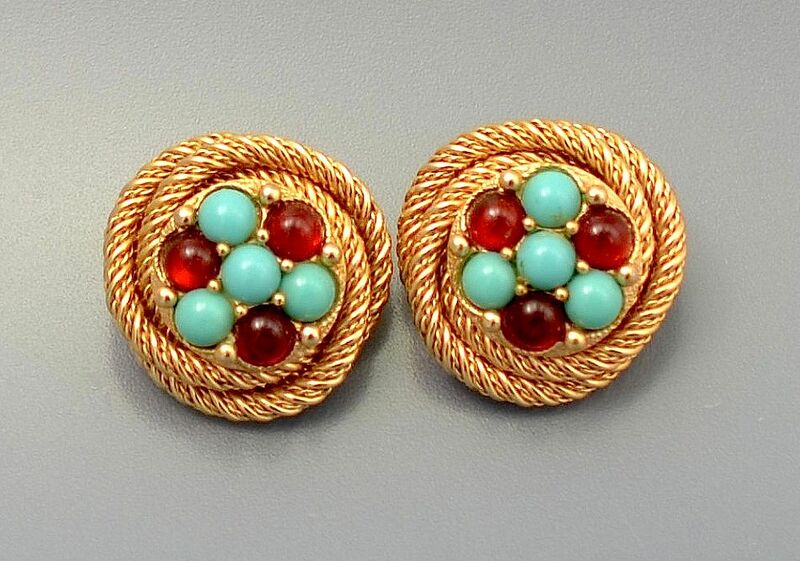 The "bird's nest" style comprises a gilt metal twisted wire "nest" with faux turquoise and faux garnet cabochon "eggs". 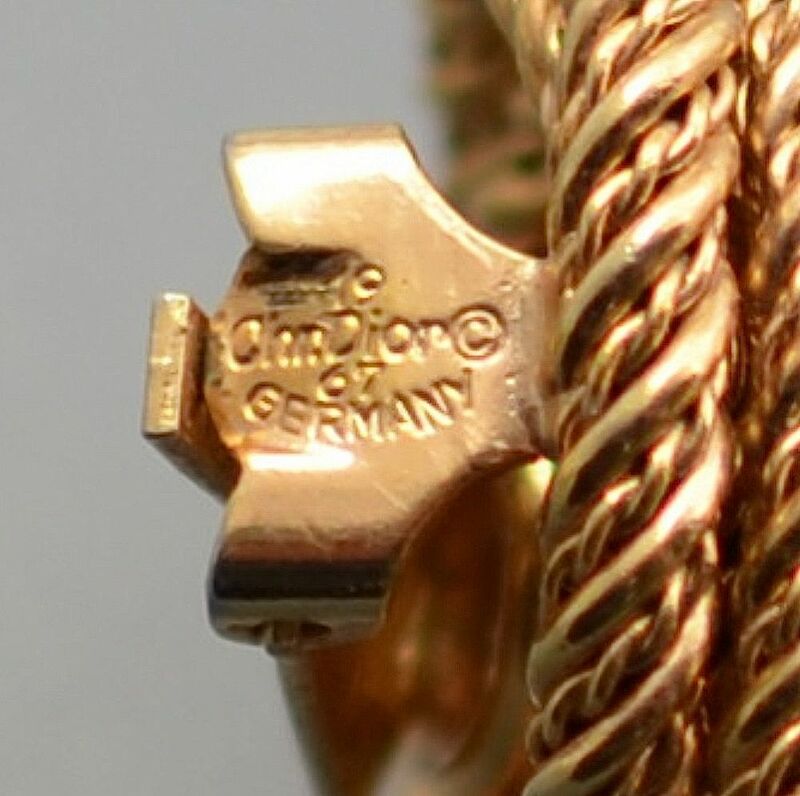 Signed and dated on the clips they are another example of classic highly collective Dior jewellery.